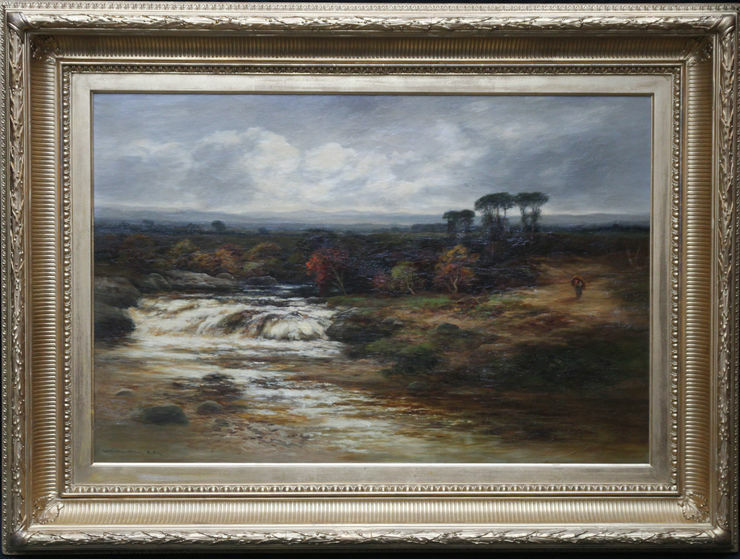 This beautiful Scottish Impressionist oil on canvas circa 1880 is by Scottish artist William Beattie-Brown. 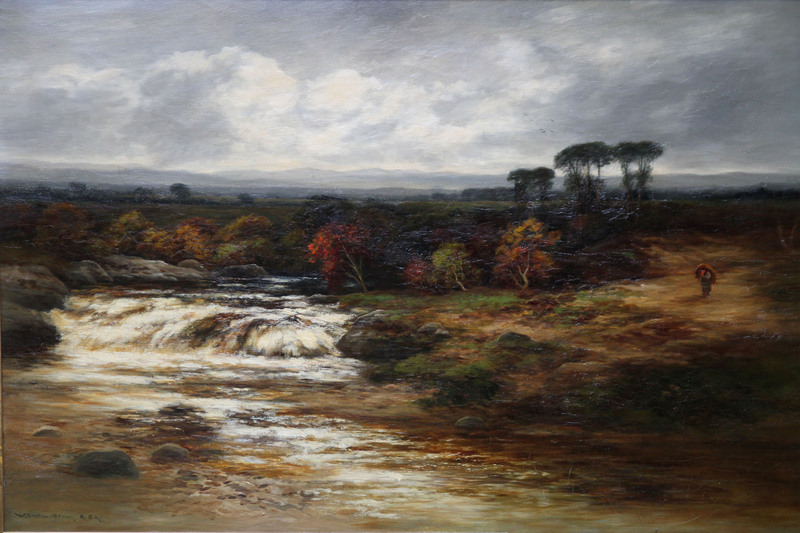 This large painting is of the Dulnain river in the Cairngorms national park. There is autumnal colouring of the landscape and a figure walking in the mid ground. The River Dulnain is a major left bank tributary of the River Spey in northeast Scotland. It rises in the eastern part of the Monadhliath Mountains and flows in a generally northeastward direction. Framed in a Victorian gilt Empire frame 45 inches by 33 inches and in good condition.